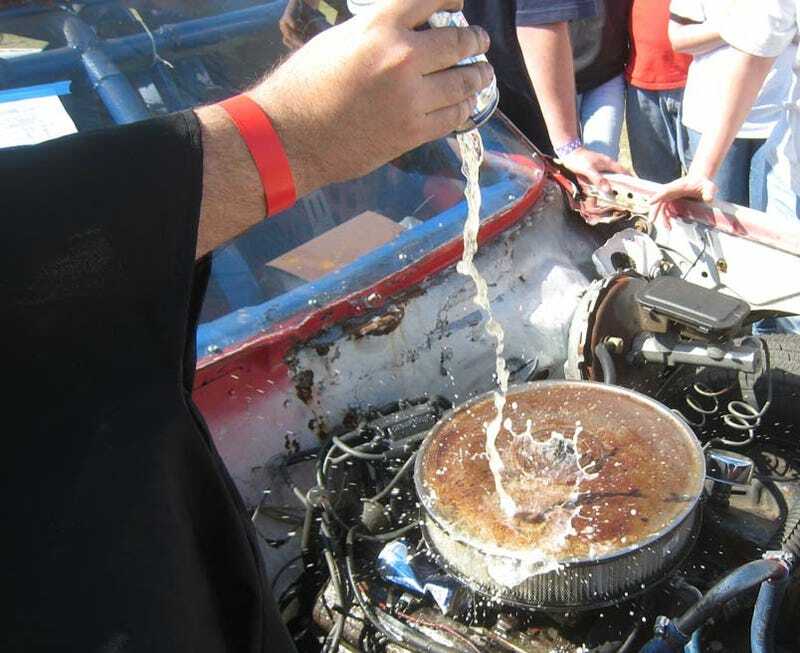 Don't Try To Bribe The 24 Hours Of LeMons Supreme Court With Natty Light! A word of advice to LeMons racers who want to oil the gears of justice: don't try to give us cat-piss-grade beer. We have a new policy for such bribe attempts! Yes, we'll dump all the Natural Light, Colt .45, Milwaukee's Best, Coors, etc. on your engine... and you're lucky we're not dumping it in the crankcase! Just ask the team that got two 40-dogs of King Cobra dumped on their Ford Modular! I'll do my best to keep up the posts during the day, but things in the penalty box might get too hectic for much in the way of live coverage. However, a live streaming video of the action should be available later today, so check out this site for some LeMons madness!